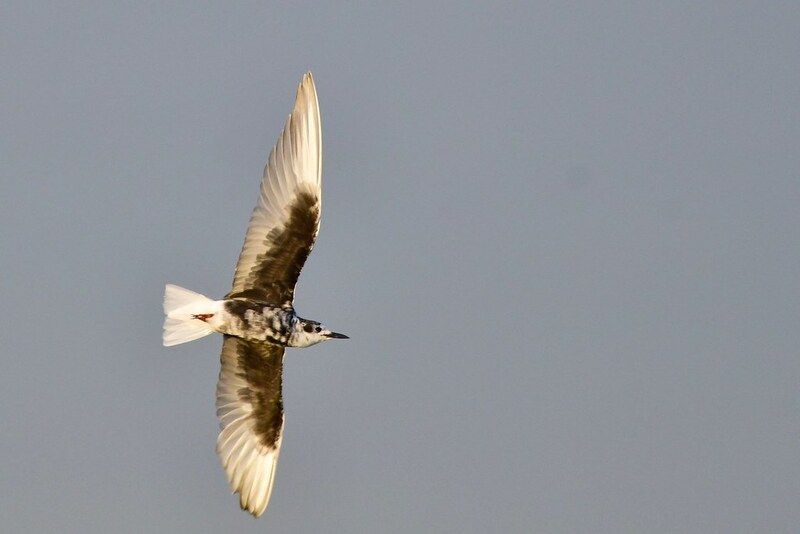 My local bird group, BirdLife Werribee, or more affectionately known by the previous name, “Werribee Wagtails” has for many years been doing bird surveys once a quarter at various sites. This weekend we surveyed the Mt Rothwell Conservation and Research Centre just to the north of the You Yangs range. The previous few days of rain had managed to get past the You Yangs rainshadow and give the area decent drink. 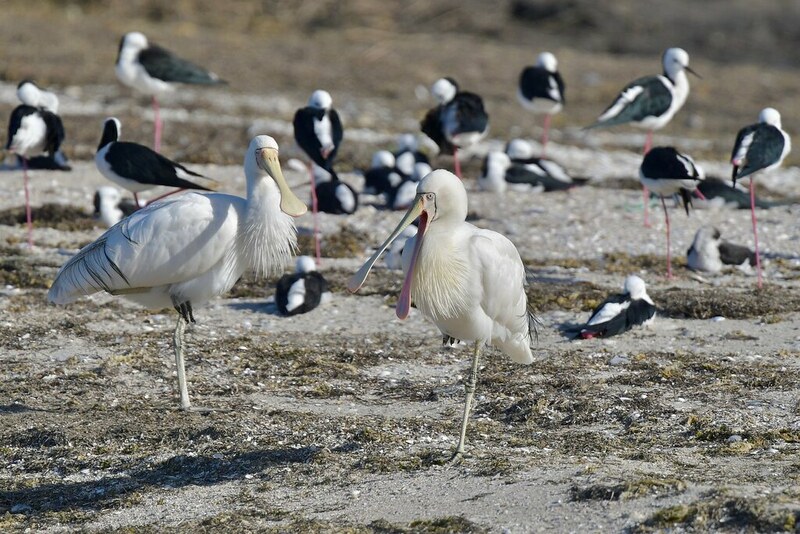 As we assembled, we were joined by a group from BirdLife Australia, Ovens and Murray. And the bush seemed to respond to our enthusiastic banter as we walked over the various tracks that lead through the park. 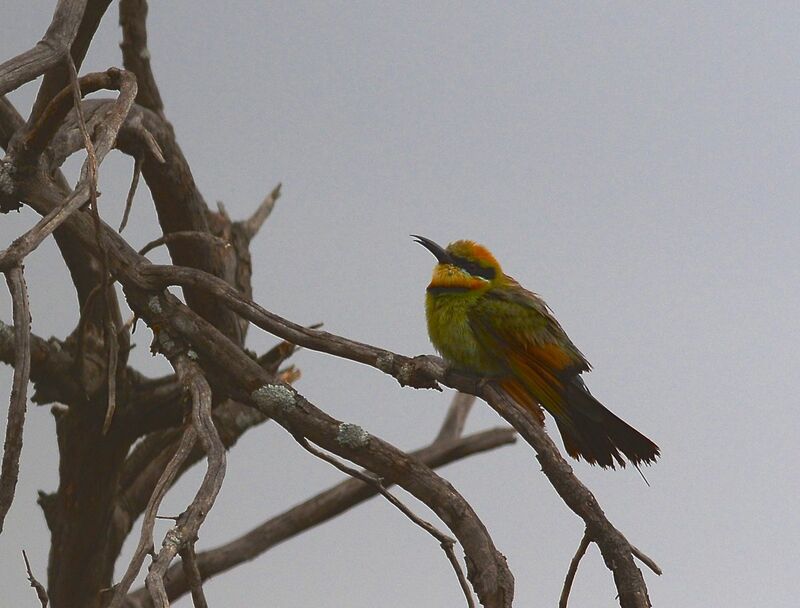 One bird that is somewhat elusive and challenges us to keep going out to find new areas is the Rainbow Bee-eater. 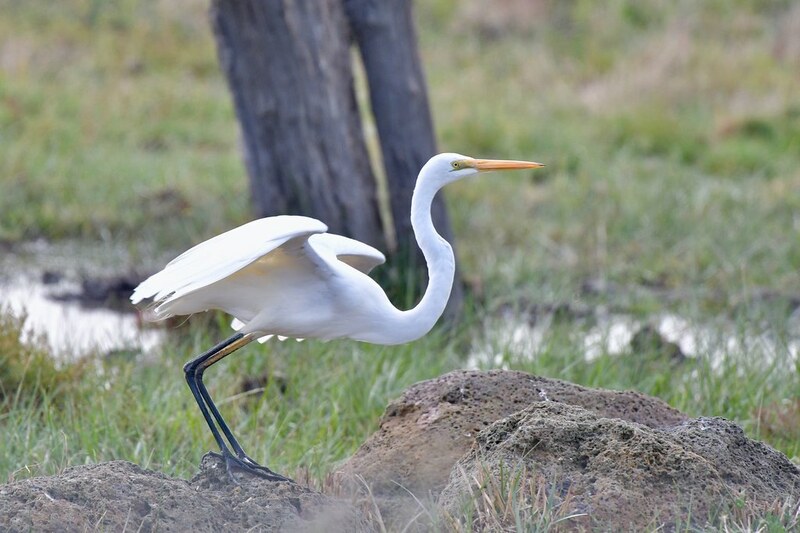 We’ve been known to drive to Newstead, and sit quietly on the creek bank that runs through the cemetery as its usually a honey-pot area for them during nesting season. Of course the opportunity for a pie at the Guildford General Store might have something to do with that journey as well. 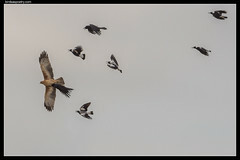 The You Yangs Park is also a well known area for them, although the nesting there is generally on private property and access is a bit more difficult. 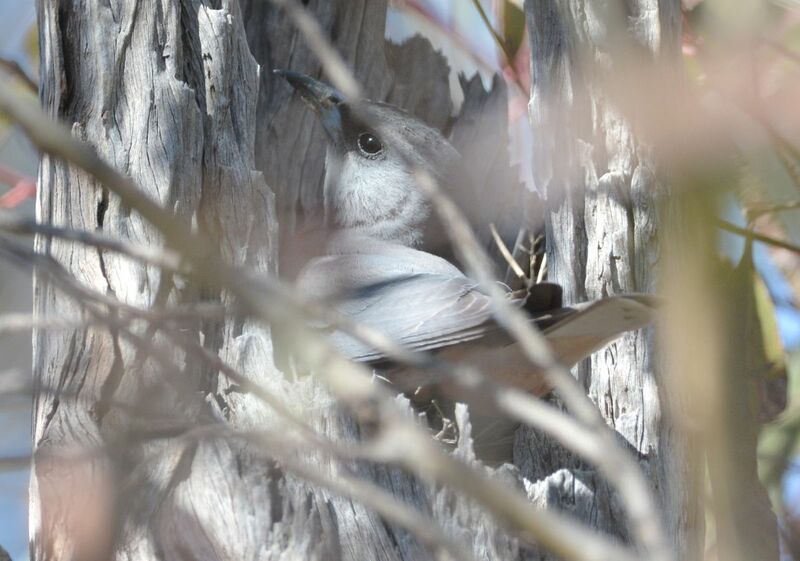 We also see them at Mt Rothwell Conservation Area, and no doubt they nest there, but it’s also not an easy access to organise. 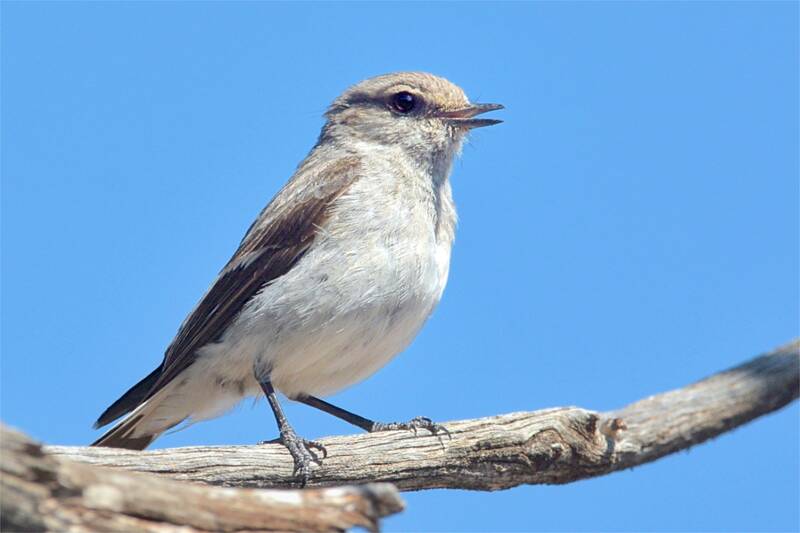 The Goschen Bushland Reserve outside Lake Boga, is renowned among bird obsevers as one of the true ‘honeyspots’ in the Mallee. 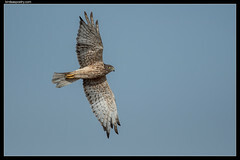 Little did I know as a young kid, riding my bike around the area, that I’d be back so many years later to spend time photographing the birds of the area. 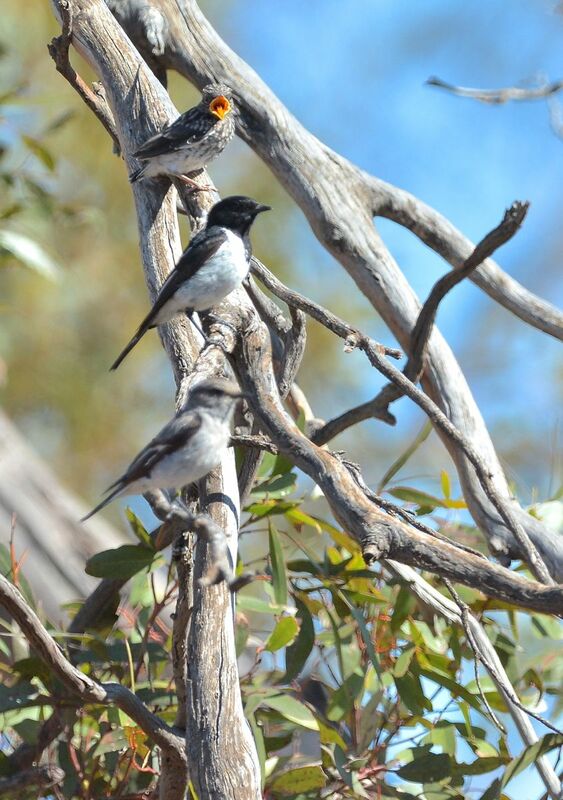 We had travelled up to enjoy the BirdLife Werribee—aka Werribee Wagtails— camp out in Swan Hill. Of course one of the spots to visit was Goschen. On the way up, one of the relatives had informed us, “Goschen now has been fenced off.” or words to that effect, and it sounded as though access was restricted. I had visions of a 3 metre chainwire fence all around the area. And huge gates with those big padlocks that Parks Vic. seems to be able to produce for such occasions. Like all things, the time was up. All that was left to do was load the car with 2 clothes bags, 6 camera bags as well as a load of ‘take home’ presents. After days of hot weather, it was a bit of a surprise to wake to find the ground wet. A steady rain had changed the place overnight. With hugs, kisses, goodbye’s seeyanextimes and the like we waved and drove off into the rain. “Care to go to Goschen?” I asked EE. Ok, but not through the back roads in this wet. Down the highway, and out along the Lalbert Road we set. (used to be called the Lalbert Road as it went, well, to Lalbert) But now it has a different name. Same Road. Same Direction. Still goes to Lalbert. So in-between incessant showers we ventured out for a look see. 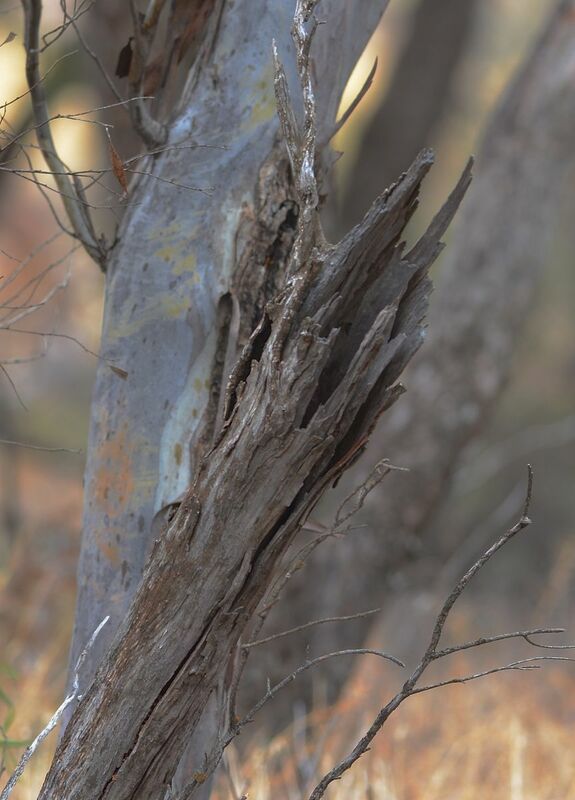 Think I mentioned the Brown Treecreeper on her nest, and so we both went very very quietly, and peeked into the opening on the broken old tree. There she was. As Dry as my Drizabone; the one hanging up in the wardrobe at home. Only a quick peek, and then we left her alone. Didn’t need to get her out in the rain. Mr Hooded Robin was out in the rain. Think he was enjoying the change. And the White-browed Babblers seemed to have a dislike for every Singing Honeyater they came across. 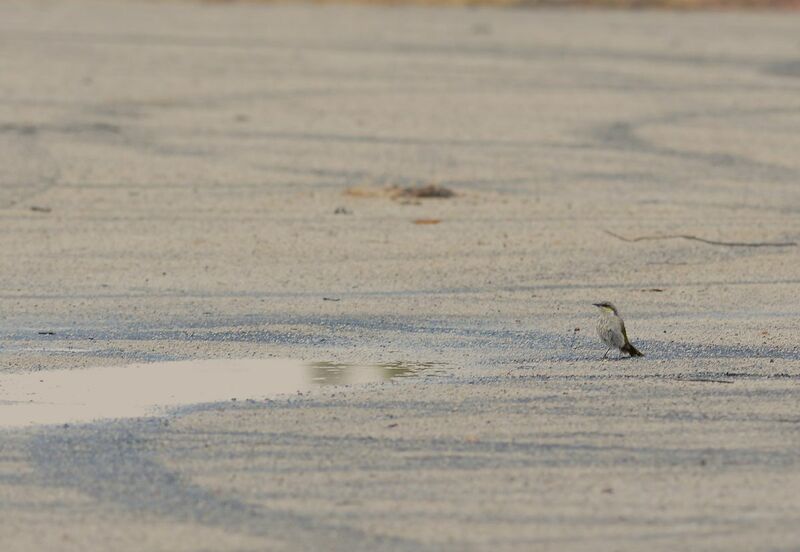 Speaking of Singing Honeyeaters, one was sizing up a small pool of water on the former tennis court, now ‘Burn-out’ spot for the local(?) petrol heads. They are probably also responsible for slowing wrecking the Goschen Hall. It has stood for nigh on 100years and served the community faithfully and now its being torn apart one small bit at a time. Pity on the mentality of those responsible. So in the end, the rain won, and we drove back toward the highway with thoughts of Eaglehawk pies on our mind. And. EE pointed. Look, its a Rainbow Bee-eater. And it was. Enjoying the rain. But the weather was so dark, it looked like a London fog out there. Would have been great with a bit of sunshine about then. Stopped at the Rail Crossing outside Kerang. 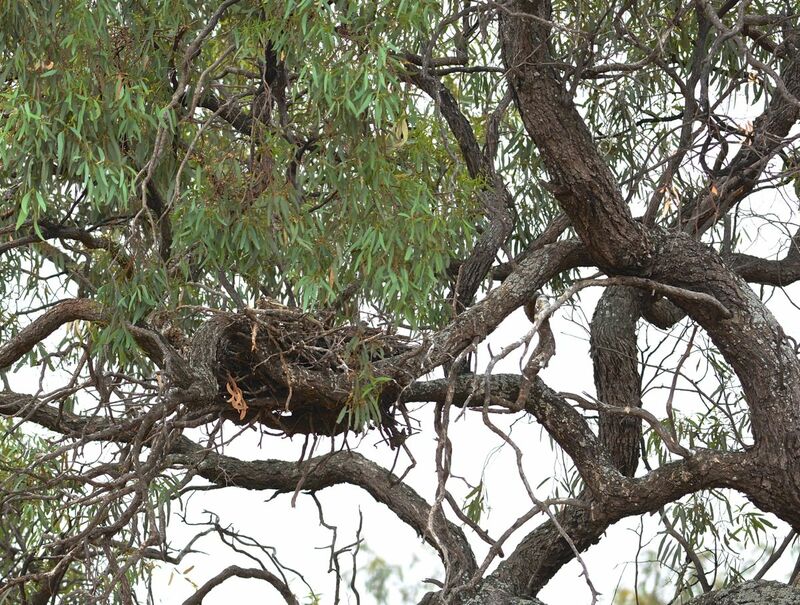 In the first tree nearest to the rail line is the nest of a Wedgetailed Eagle. 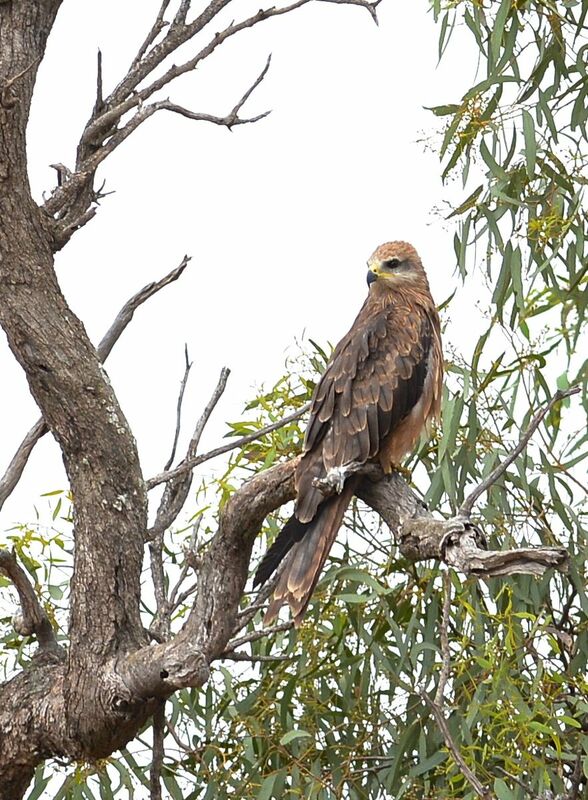 No one home today, but the tree was providing shelter for a Whistling Kite. So to home, loads of emails, much work to sort images and the like, clean gear and ponder the next journey. Mr Elegance in the rain. Brown Treecreeper nest site. She is about 1/2 metre down the hollow. 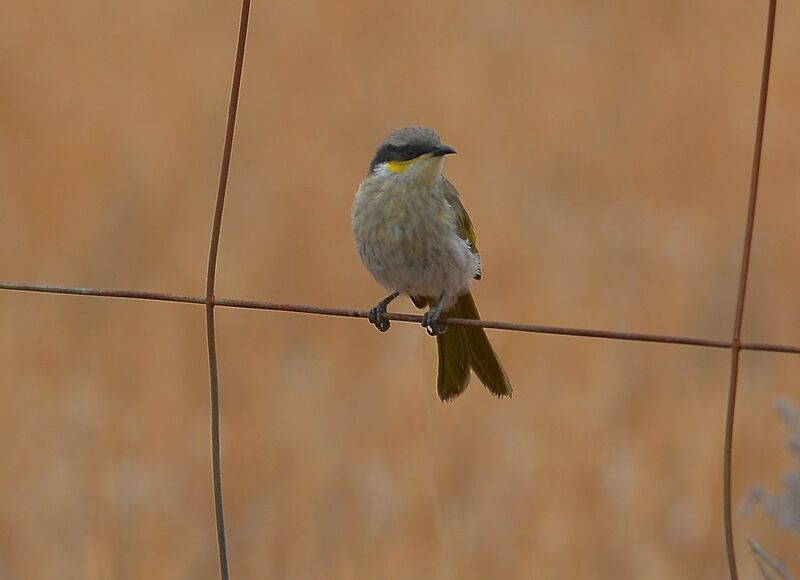 SInging Honeyeater enjoying the cool. Tennis anyone? Testing its bath water. Perhaps I should wait a few more minutes. 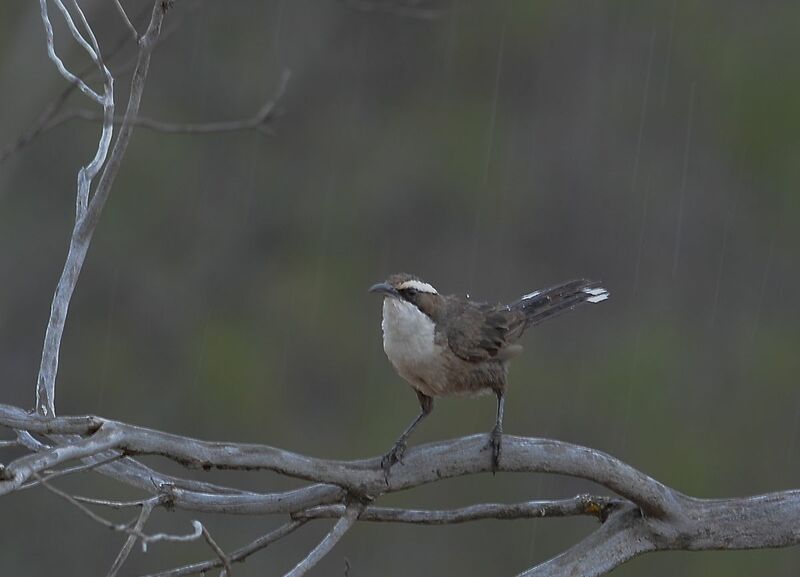 White-browed Babbler, waiting in the rain for a honeyeater to be chased out in the open. EE’s find of the day. My shot from inside the car. If it looks dark and gloomy out there. It is! 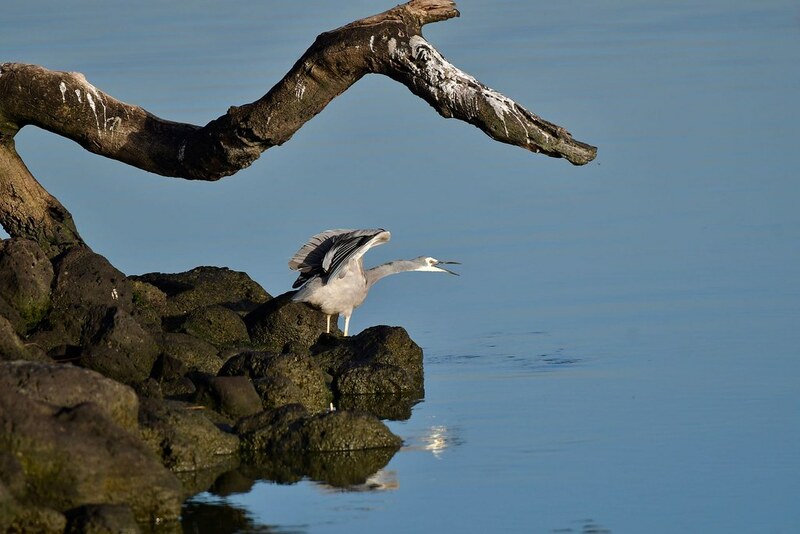 A morning at Goschen Bushland Reserve. We had to take a trip back up to the family acres during the week. (Astute readers will see the euphemism in there). On the way back we left early in the morning from Swan Hill, and after some family duties (again an euphemism), we headed on down to the Goschen Bushland Reserve. This little clump of trees and shrubs is a truly outstanding area for birds and no matter what time of year, there will always be something to find. We took the back way down which gets us onto the Woorinen Road and is a very pleasant drive among the trees and wheat lands, if somewhat dusty. 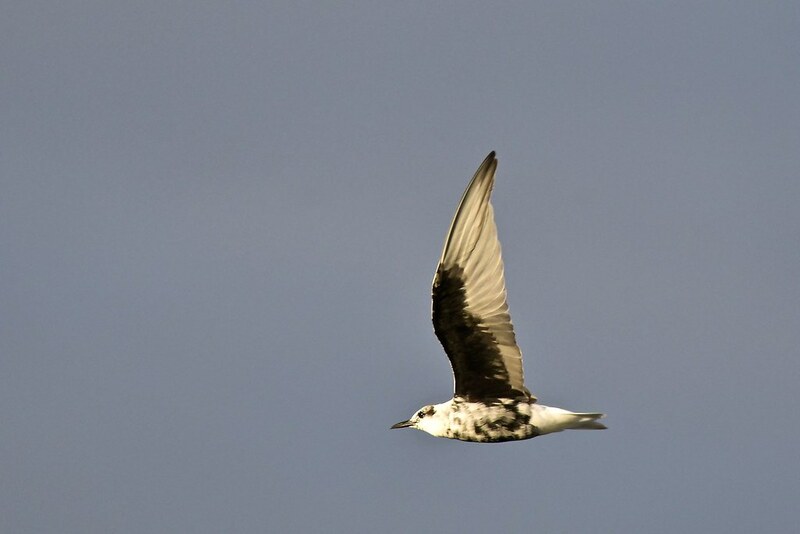 After about three hours, (no euphemism in there), we had seen an array of birds and EE had nailed some new species. 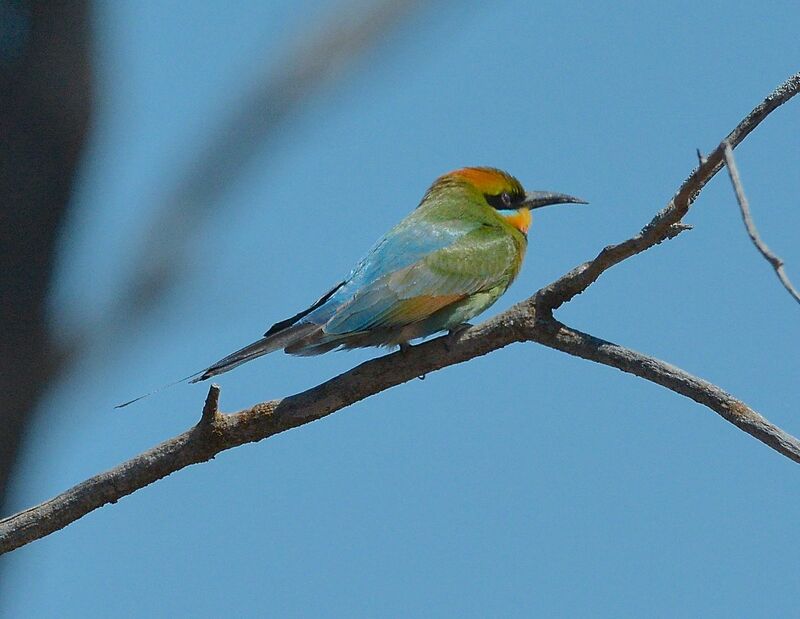 Including the Rainbow Bee Eater. Top of the day however was a pair of Hooded Robins. 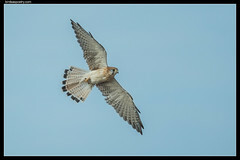 (those who’ve followed here before will know there is pair we’ve photographed there previously), and they had only in the past day or so fledged at least two young. 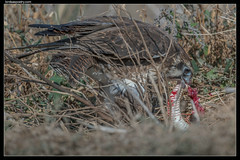 We got a good look at one of the young, but in the end Mum was getting quite distressed and doing a ‘broken wing’ display on the ground so we moved out of the area. Next turned up the Rainbow Bee Eaters. These are the most stunningly coloured birds and the metallic colours simply sparkle in the light. I’d not noticed before how hard that is to record with the camera. Plenty of White-browed Wood-swallows were nesting, and I managed to locate a female on a nest. Well to be truthful, I was stalking a Hooded Robin, and walked right past her nest. She quickly regained composure, I took a shot and moved away. I really dislike disturbing them. 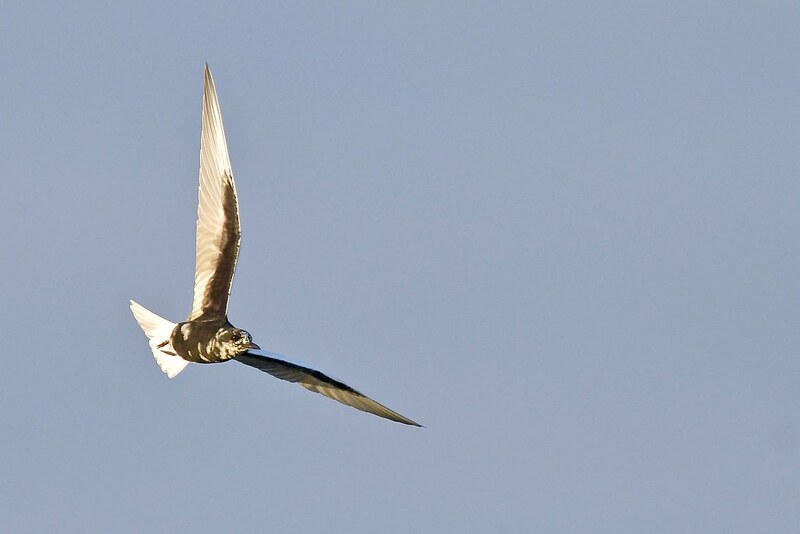 There were also plenty of Masked Wood-swallows as circulating as well, and no doubt nests to looked after. 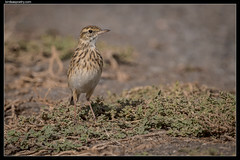 A few Brown Treecreepers and some Singing Honeyeaters, lots of White-plumed, and EE remarked its funny to drive all this way to photograph whats in our backyard. 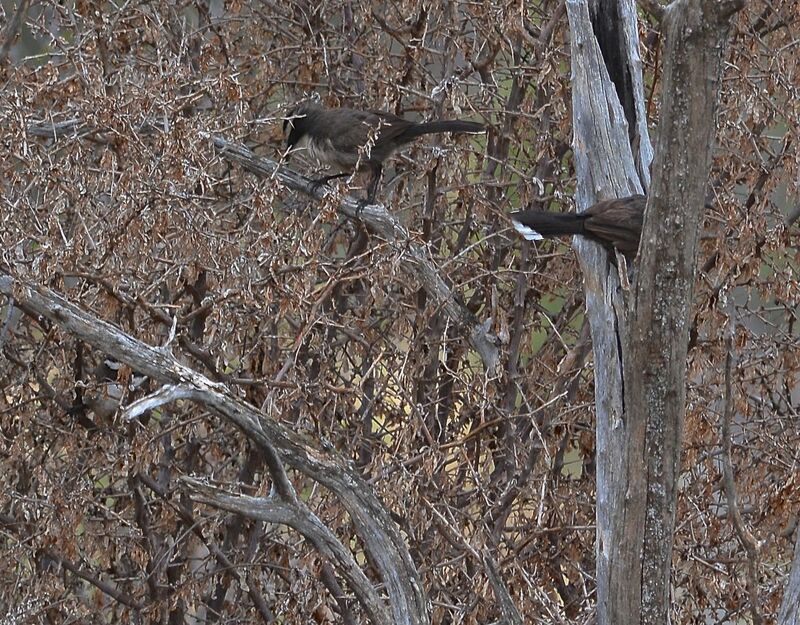 And of course as is the case, the Black Honeyeater was no where to be seen. Another chance another time. 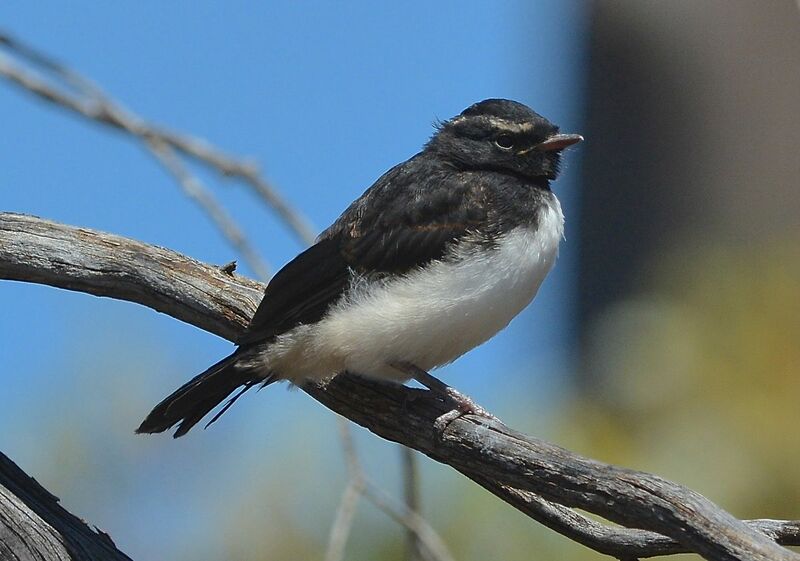 As we drove out we spotted some young new fledged Willie Wagtails, and by the road way several White-browed Babblers, but it was time to go and so we moved on. 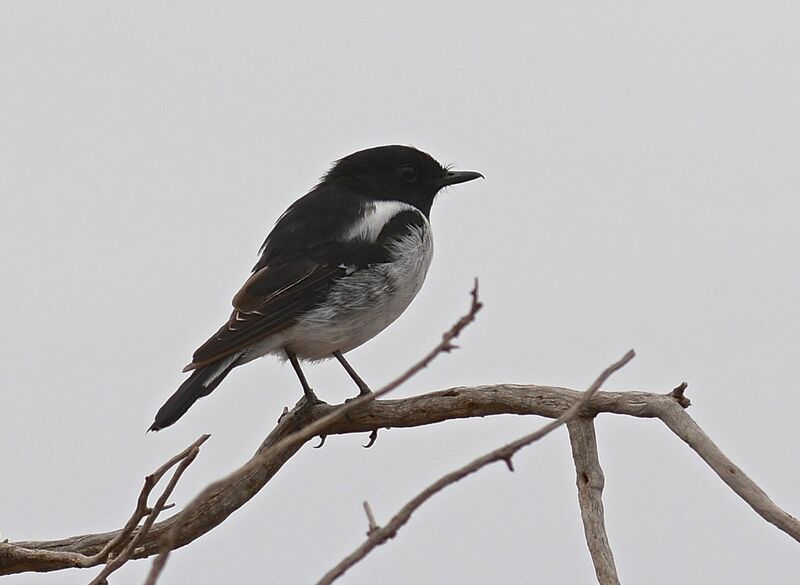 Most elegant and distinctive Hooded Robin, male. 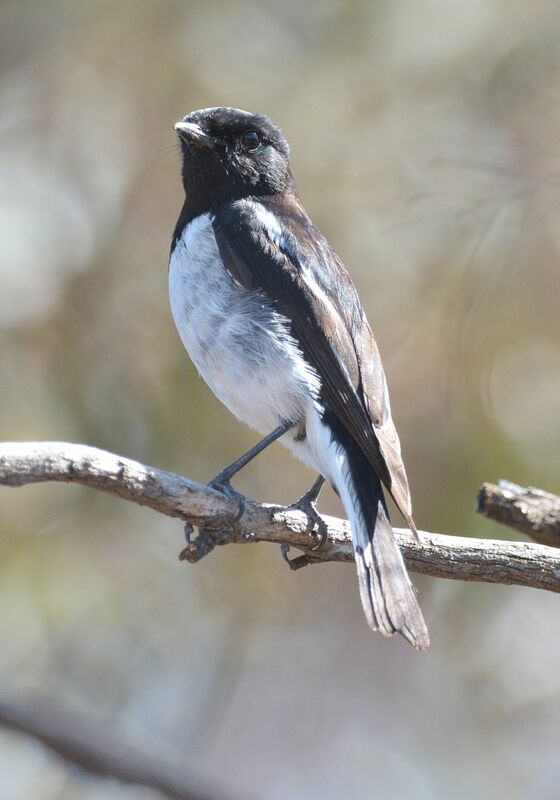 Hooded Robin, family group. Junior thinks its feeding time. Very annoyed female Hooded Robin, she was most protective of her recently flown young. 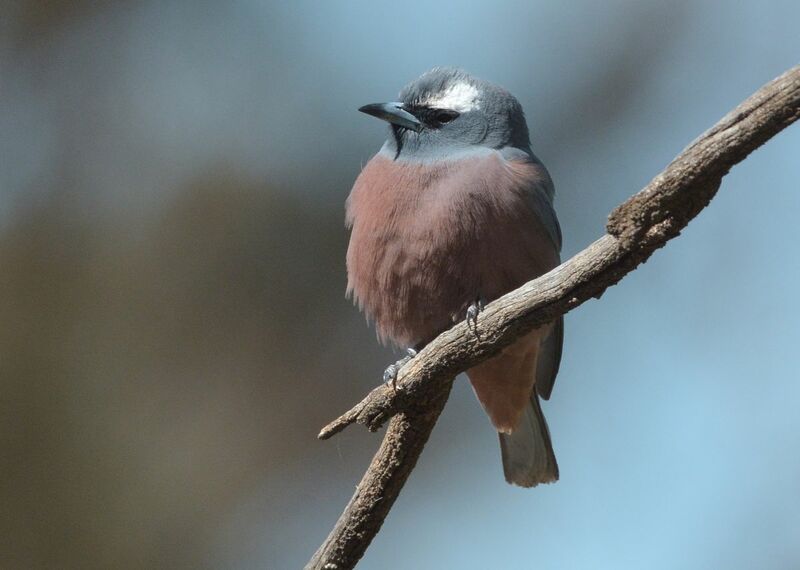 I often try but hardly succeed, to get a sharp shot of the White-browed Woodswallow.